Karun Chandhok and Kamui Kobayashi, who both lost their seats in Formula 1 to the worlds economic problems and ever increasing costs in the sport, will be testing with the Ferrari factory team AF Corse in Spain this week. 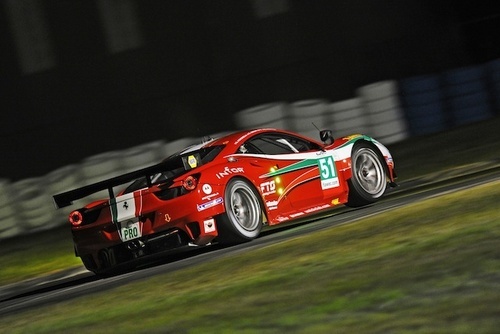 The team is looking to fill 1 or 2 seats in the second 458 Italia in the GTE Pro class of the FIA World Endurance Championship. The three day test, which will have regular drivers Gianmaria Bruni and Giancarlo Fisichella also present, began on Monday at the Motorland Aragon Circuit in Spain. The two ex-F1 drivers will compete for the available seats with GP2 race winner Luca Filippi, former Superleague Formula race winner Davide Rigon and Italian F3 driver and member of the Ferrari Driver Academy Brandon Maisano. 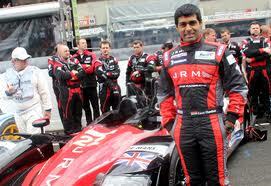 Karun drove for the JRM team in the WEC 2012 series finishing 10th overall and an impressive 6th place finish in their first appearance at the 24 hours of Le Mans. Sauber confirmed that they would not be signing Kamui Kobayashi and would field an all new line up with Nico Hulkenberg and Estaban Gutierrez for 2013.